Part of the traditional Rotunda range of outdoor lighting from Franklite. A traditionally styled superior quality Italian die-cast aluminium matt black exterior wall light. 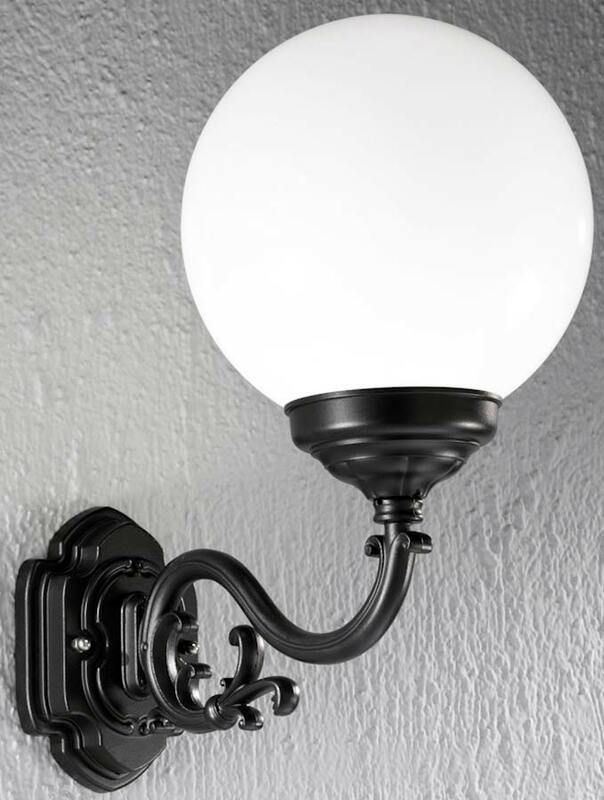 An ornate matt black wall bracket, with clover leaf shaped wall mount and scrolled upward facing arm that supports the large opal polycarbonate sphere. Smaller model is also available. IP43.